Quito is set at an elevation of 2850 m, amidst the Andes and their foggy peaks. Our airport landing was interesting to say the least. Our plane had to abort the landing at the very last second due to fog. We went via Guayaquil for a temporary stop and on the return to Quito, it was still extremely turbulent. If you don’t believe us, read about Quito airport online. However, if you want to go to Ecuador, to visit the Equator, the adventure town of Banos and learn about their culture, and try some amazing food, it’s a must. We stayed in the central area or historic area and only for a short stay before our trip to the Galapagos. The city is about a $30 cab fare from the airport. When travelling around, Quito doesn’t have their own currency, so have US dollars. Smaller denominations are preferred. Only use your ATM card if you really need to, for safety reasons. We were warned plenty of times about Quito being dangerous for mugging and pickpockets. We did see a few around. Just dress super casual, don’t carry flashy cameras or jewellery and don’t walk out at night and very little money and you’ll be fine. Make sure to keep reading this. Despite our arrival issues, we did enjoy our stay. We were super annoyed to arrive and find they didn’t have our booking. I booked in April, had a printed confirmation and also re confirmed the day prior. This meant, as a husband and wife couple who booked a private room, we could not have it and got given a bunk room. We were fortunate there was a room spare, but sharing with others wasn’t ideal, particularly when we were well organised. Our $30 a night private room became $25 (for both) in a 4 person room. That said, they offered to give us a free dinner $5. The rooms were comfy, spacious and warm. There are charging ports and cupboards. Mindful though the street is pretty noisy, the rooms near the dining room are too as people wake early for tours etc. The hostel itself was safe, with security access, coded locked door, locked drawers (you need to buy your own lock). Outside is not so safe at night. Don’t walk out after 7, get cabs everywhere and look after your belongings. That said, Community Hostel is a great place to stay. It’s a super clean hostel with private rooms as well as bunk rooms with single and shared bathrooms and is very social. There’s a lounge room and dining room. The dining room offers amazing meals at only $5 each. We had the salad with roasted vegetables and poached chicken. For the breakfast at only $3.50 it was waffles and fruit which the chef arranged beautifully. Sign your name up and it will be ready for you. Tea and coffee is on hand for free. They have different events each day like happy hour, salsa lessons, language and more. I also did a free yoga class which was great. It’s in the old town area and close to walk to the historic sites. The hostel is great and it’s a wonderful place to meet people. Our Community hostel, who also arrange tours run a free walking tour (its free except you’re encouraged to give a $5 – $10 tip). We were shown our way from the hostel to the meeting point. We then met or guide Soli who showed us around the city for 3 hours. She was extremely enthusiastic and knowledgeable about the city and Country. The tour began with safety guidelines for the day and then we were taken to the mercado (marketplace) and showed the food court (we went back for a $3-$4 Ecuadorian lunch). We visited the fruit shops tried some of the delicious fruit on offer. We also visited the floral sellers who sell bunches of roses for $4!! Apparently Ecuador has the best roses due to it’s location on the equator, the roses grow with straight stems. We also visited other stalls selling meat, cheese and herbs. We then were led to the historic areas in the old town with plenty of churches, monasteries and are steeped in tradition (pardon the pun). We were also shown the Plaza Grande, Palacio Del Gobierno (seat of the presidency), Palacio Arzobispal (where the Archbishop once lived) as well as plenty of museums such as the currency one. Soli explained information about Ecuadorian presidencies, currency and religion. The tour involves a fair amount of walking, but at a slow pace. You must be interested in learning the history to enjoy the tour. It’s worthwhile to see the sights in the safest and cheapest way possible. Directly opposite the Community hostel was a craft brewery where you can get a good beer, some beer snacks such as pizza, tacos and chicken wings. We paid $20 through the hostel to do this tour. We were picked up at 2:30 (which meant we could do the walking tour as well in the morning). A large vehicle like taxi took a group of us to the middle of the word. It is a tourist site where you receive a short tour to explain the history of the site, and how you’re standing at 0 degrees of latitude, straddling the southern and northern hemisphere. We were shown some interesting activities like how the water goes down a drain differently depending on the side or the hemisphere, trying to rest an egg on a nail. If you achieve this task, you can get an “egg master” award. Take your passport and get it stamped too. It felt like a little tourist trap, but interesting all the same. They provided us with some interesting facts and showed us how people once lived and briefly explained the history of the head shrinkers. This was a $4 entry. We then went to the site of Mitdad Del Mundo where the official memorial statue of the equator line is this is pretty much the new and improved version of the above mentioned site. We took the lift to the top for some beautiful photos. On site, there’s a few shops, beer brewing gallery and plenty of places to eat. The entry fee was a $6. This tour dropped those who were interested in the Teleferico (cable car). This was definitely worth the trip. The cable car costs $8.50 and it takes you up to the viewpoint of Quito and Andes and Volcano at 4100m. The view is unparalleled and at sunset was incredible. Be sure to take your warm clothing as it is very cold way up there! Dragon boat Chinese Restaurant in Harbourside shopping centre, Darling Harbour hosted a VIP event to support and promote the show “Memories in Shanghai – Passionate in Sydney” – the show for traditional music star, Yang Xuejin who is here to bring the sound of folk opera to Australia. Performing for one night at Star City, on Monday 18th June, Yang Xuejin’s friends and supporters visited Dragon Boat for a celebratory dinner. The restaurant was set up for a beautiful dinner, complete with wine and lucky door prizes. We started off with an traditional entree: the bbq plate with roast duck, bbq pork, beef shin, and jellyfish. We then shared fried rice, beef and snow peas (that had a wasabi flavour) and mushrooms. Guests heard from some speakers and a musical performance. Dragon boat is the perfect location to host his event, with plenty of space and views of Darling Harbour. Fireworks are also visible as well as the lights of Vivid. What an enjoyable event to experience and it’s amazing to see how the restaurant supports and showcases China’s fine food, music and culture. We were lucky to receive some tickets from the venue to listen to this show. Organised by the Australia International Culture Industries Association and held at the Star Event Centre it was a rare chance for audiences in Australia to be delighted with the music of Yang Xuejin. Yang Xuejin, hailing from the Yunnan Province, is known for the song “there Is a Beautiful Place”, amongst numerous others. She performed a solo concert of her classic songs. Extremely experienced, she is a graduate of Shanghai Conservatory of Music and the Professor and master tutor of the Vocal Opera Department there. She has performed around the world including at the Champs Élysées in France and even in the Golden Hall of Vienna. Known for singing Chinese folk songs. She performed a number of these songs at her special concert, showcasing her sweet and sincere voice which ha broad vocal range. Some songs were gentle and others quite upbeat and poppy. She entertained the crowds and the show was a lovely demonstration of her beautiful voice. The orchestra was conducted by first class composer and conductor Tu Bahai. The MC of the event was Wang Yong. The Shanghai pop music orchestra also showed their talents on the viola, trombone, cello, saxophone and more. We also heard from the group of Yong Sopranos, graduate students who were also hugely talented. Thanks to Dragon boat restaurant for the invitation to dine and tickets for the event. We continue our cultural food tour of Harris Park guided by Waji. Taste food tours is a social enterprise bringing cultures together through food. Taste Tours also helps to support refugees through training and running tours and by helping with tuition. 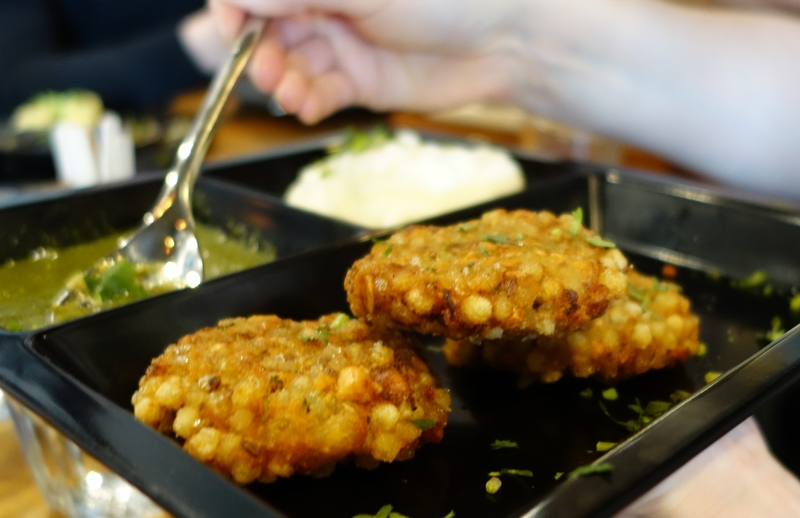 The first part of the tour introduced us to western Indian street food breakfasts and sweets at Chatkazz, we were shown key cooking ingredients at an Indian Supermarket and Introduced to souther Indian homestlye cooking at Versha’s. To break up the tour and give our belly a rest we headed to a shop called Parramatta India Fashion. 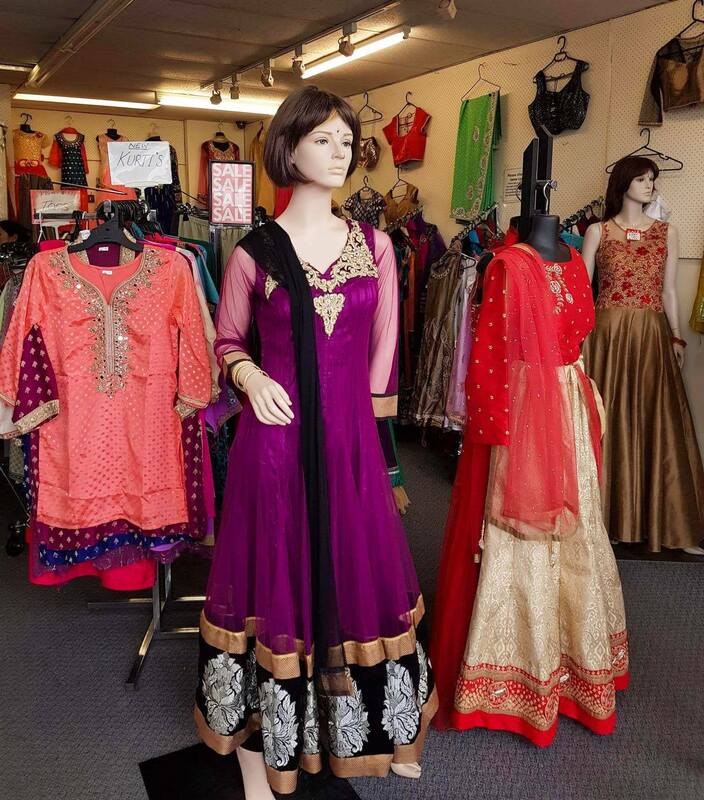 This also provided a cultural element, with the shop selling traditional Indian outfits and jewellery. They have some intricate outfits for special occasions and traditional outfits to be worn everyday. 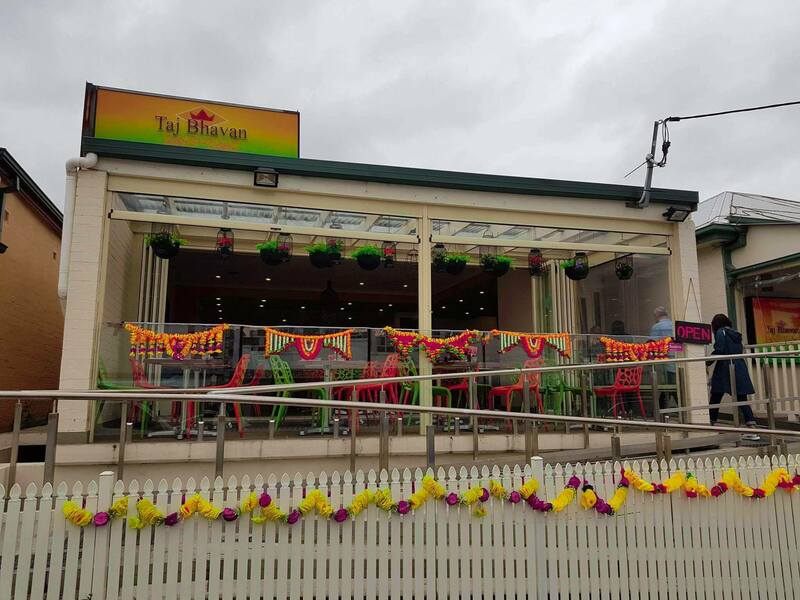 Moving on, Taj Bhavan vegetarian restaurant is a big bright restaurant, set in a renovated cottage. 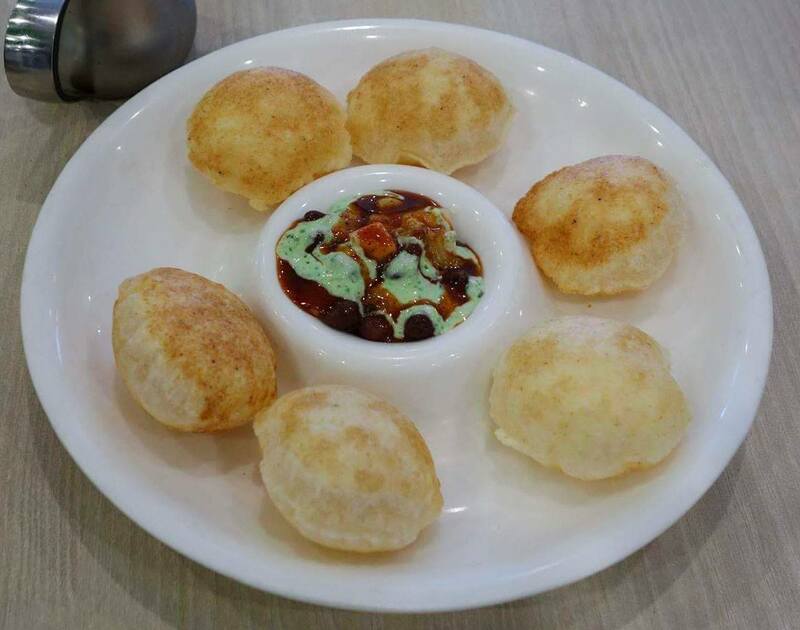 This location served up a favourite bombay street food snack called pani puri, which is a crisp hollow pocket that you fill with raita(mint yogurt) and chutney. Bang this little pocket in your mouth then be hit by the flavour explosion. 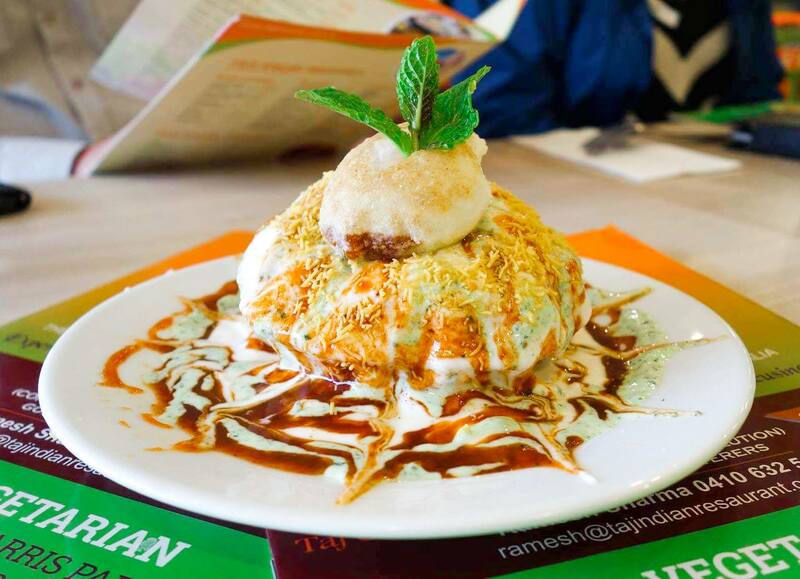 We also shared the raj kachori, pretty much a super sized Pani puri, nicely presented too. The tour then moved to a bargain gem called The Spice of Life. 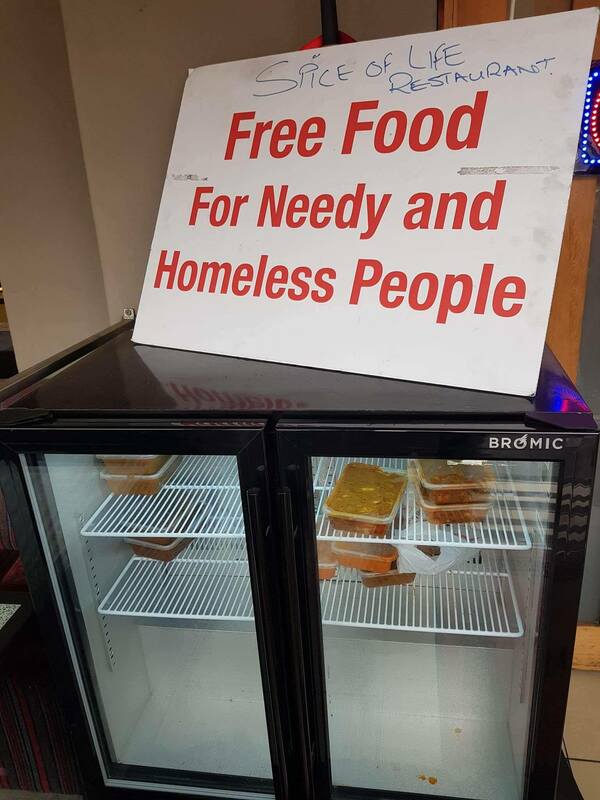 This North Indian restaurant impressed us even before stepping foot inside, this was due to the free food on offer to the needy and their incredibly cheap lunch buffet advertisement. 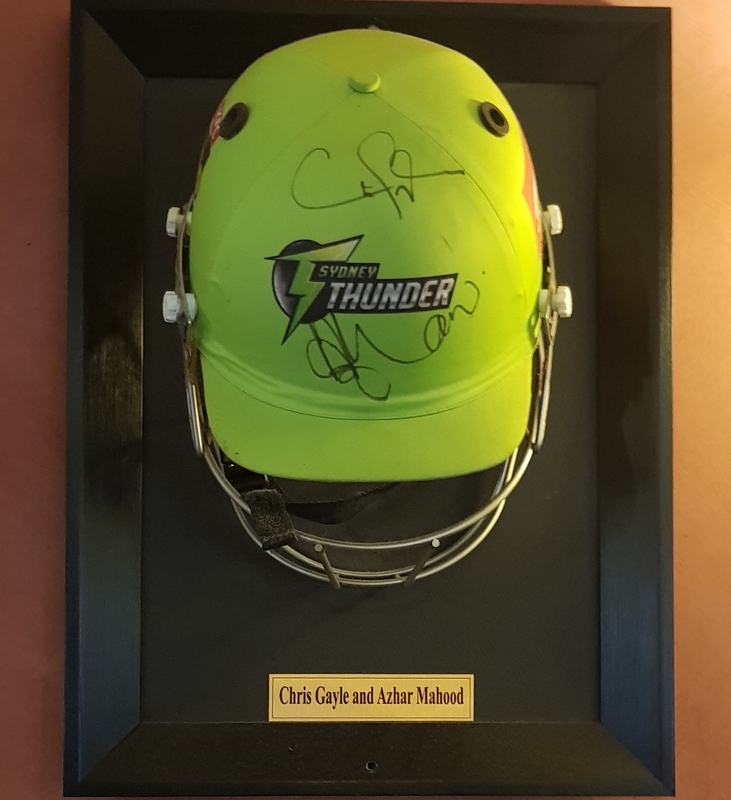 Once inside, we do a walk by of the buffet and check out all of the cricket memorabilia adorning the walls. Once seated the much anticipated naan arrives at the table, as does a goat curry a dish that will always appear on our order if it is available. This version is very nice, the meat is tender with good flavour. 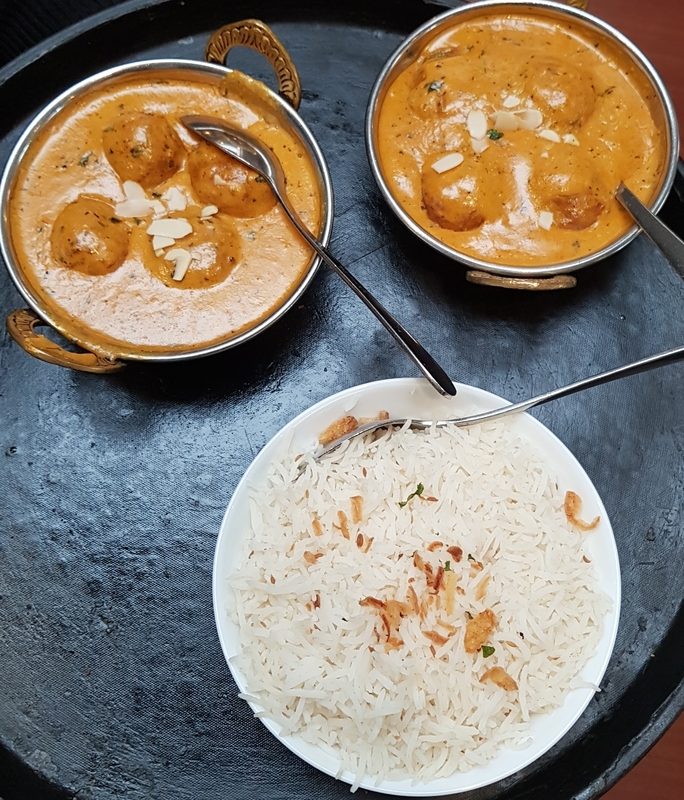 We were also introduced to another dish that many of us had not come across, the Malai Kofta. Bobbing in a thick and creamy korma style sauce were these flavoursome cottage cheese and cashew nut dumplings. This is a dish we will be looking for in the future. Another great experience put together by Taste tours. Be prepared for a good range of food from many regions of India, with a little bit of history and culture thrown in. This will allow you to settle and prepare for the next bite to eat. A great taste of Harris park and good preparation for a return visit. Check out the below link for all of the great tours offered by Taste tours. There are also links to other taste tours we have attended. We are touring again with Taste food tours and this time there is plenty of flavour and spice and a taste of Indian cuisine. 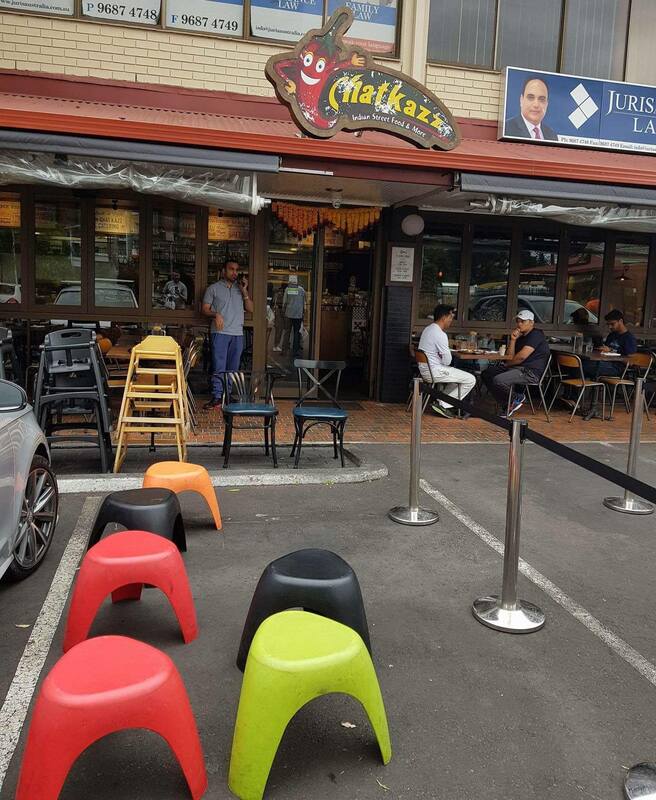 We did a tour of Harris Park which is a hot bed for Indian restaurants in Sydney. Our tour is guided by Waji, an international student from Singapore with Indian heritage. Waji shares her stories of of her Indian background and the cusine throughout the tour. It is a Cultural tour, so it is not all about food, you are learning through the experience. That said, your stomach and tastebuds will be thanking you, as the majority of it is about the food. India has over a hundred dialects and many regions, with this tour giving you a sample of each region’s cuisine, you will soon figure out there is more to Indian Cusine than butter and naan. Taste Tour seeks to connect cultures and provide you with an authentic multicultural experience. 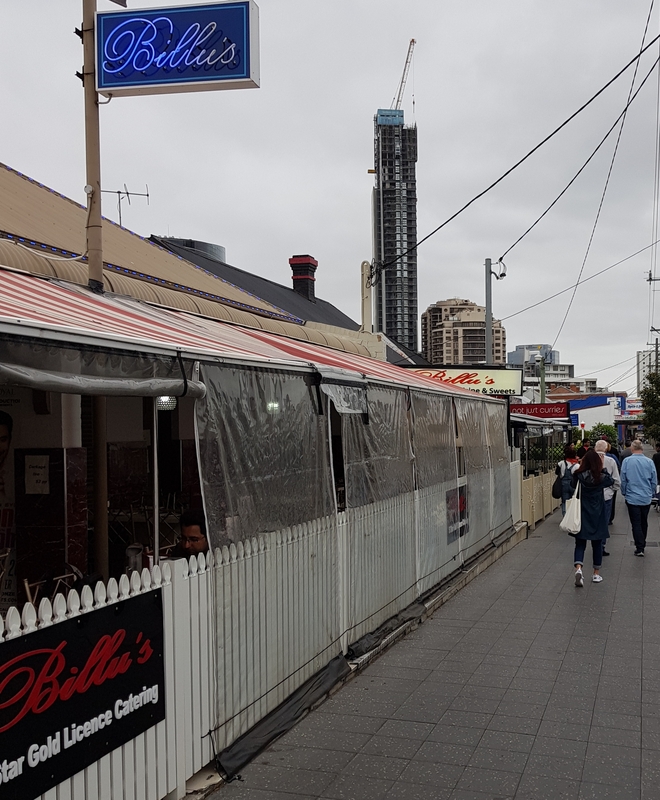 Throughout the tour you are provided with a little bit of history about Harris Park and the Indian influence, which goes back over a 100 years, with the Brits first bringing Indians to Australia as workers, coming up the Parramatta river by steamboat. It was also pointed out that there was plenty of history in the area with acknowledgement of the traditional owners and informing that Governor Phillip launched experiment farm, freeing convicts to farm the land. The history of the area is evident through the architecture and with many restaurants taking up residence in renovated cottages. The tour starts at Chatkazz Cafe at 10:30am and there is already a line. 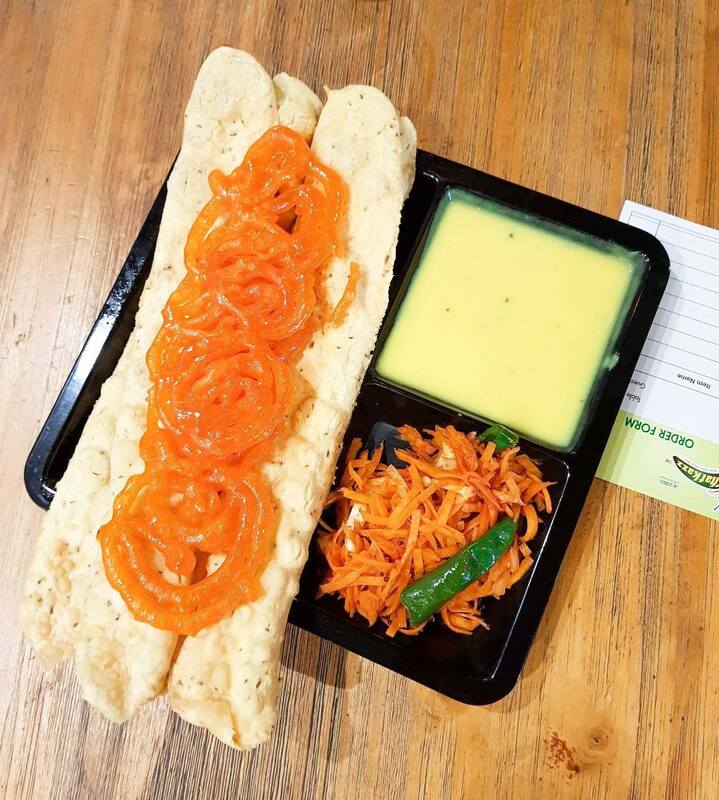 Chatkazz serves Western Indian vegetarian street food from the Gujarati region. What a delicious start to the morning, much better than plain old oats or toast. If this is a typical Indian breakfast, I am up for adoption. We sample the Jalebi, a vibrant orange sweet indian style pretzel served for breafast. 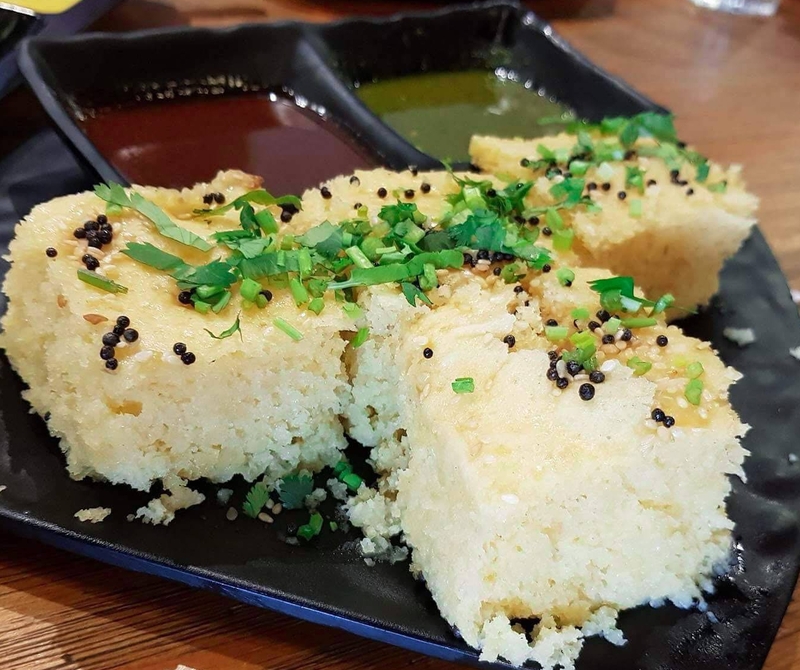 The khaman dhokla, a light, airey, savoury sponge that was perfect for soaking up the mint and tamarind sauce. The pick of the bunch was a serving of fried sago fritters called sabudana vada and of course it was served with sides of chutney. It wouldn’t be right to not have a cup of chai. This version was quite potent, with a few cubes of sugar needed to sweeten the brew. Next, we check out an Indian supermarket where we are introduced to one of the most important cooking ingredients, the curry leaf and Garam Masal with Waji providing some cooking tips. 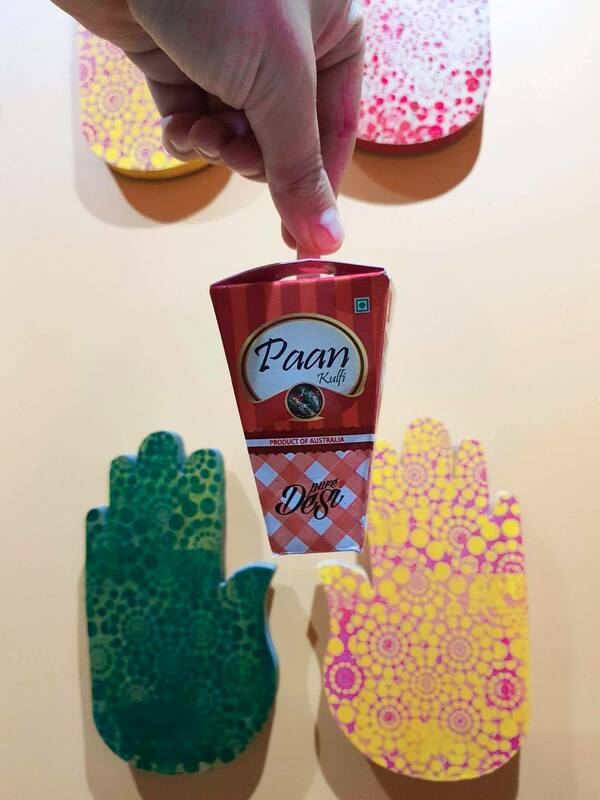 We are given time to wander and purchase some goodies with a plethora of spice, chutney and other goodies on offer. Chatkazz also has an Indian sweet shop, we obligingly pay a visit. Waji arranges a tasting with each morsel increasing in sweetness. 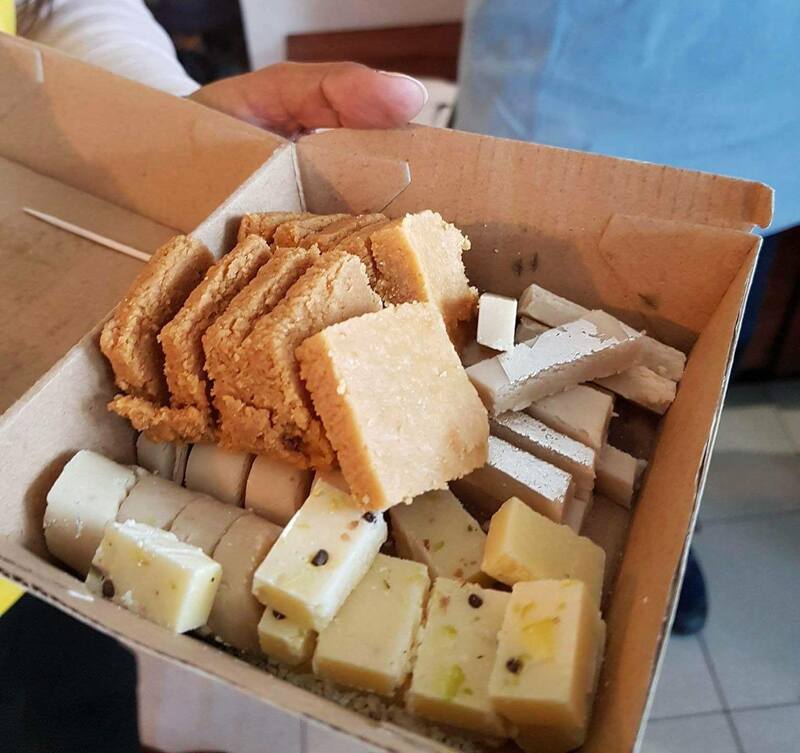 Many of the sweets we try have a fudge like texture and are made with condensed milk and cashews as a base. There are a range of flavours including saffron and rosewater, which you don’t come across too often. Then, only a short walk to Versha’s, a lovely little restaurant, named after the owner whose passion for food inspired her to open the restaurant. 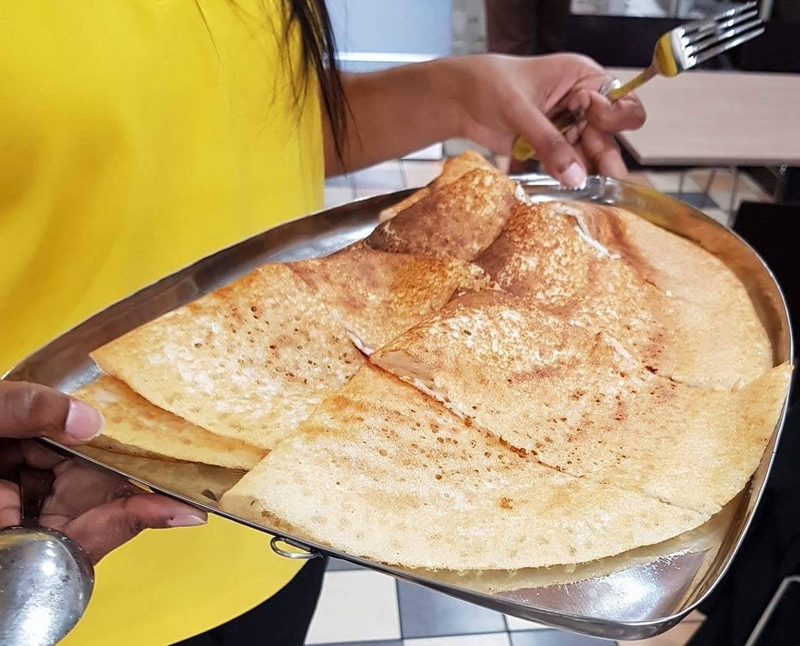 One of our favourite Indian options is the Dosa which is a chickpea flower pancake, paper thin and with a little crunch which usually has a filling. In this instance, there was no filling but we did have a Coconut chutney which had a good amount of spice. We were also introduced to a Southern Indian Breakfast staple Idli, this fluffy cloud like rice cake is the Indian answer to Bao, its sponge like texture perfect for soaking up sauce. This was served with a tasty sambar sauce and a little of the coconut chutney, a nice vegetarian combination. 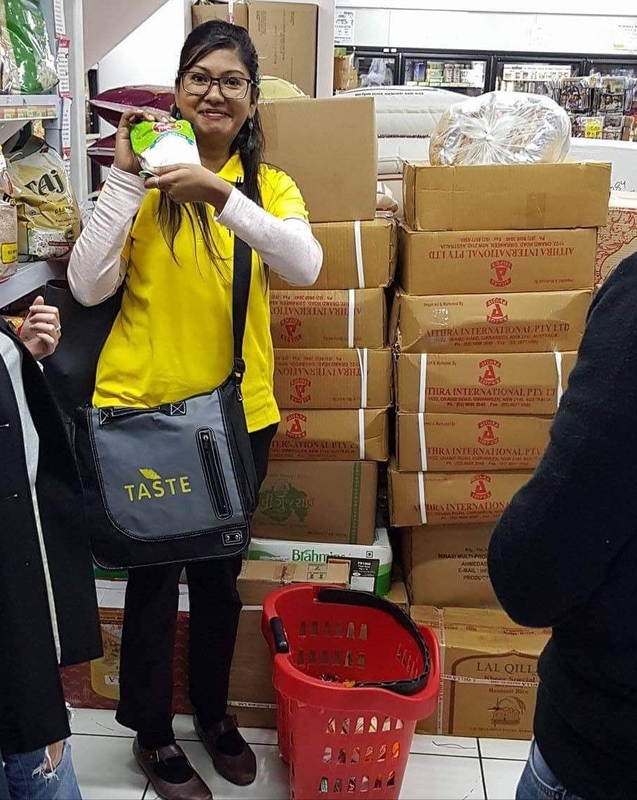 We love what Taste Tours represents, they are a great way to experience multicultural Sydney, expolore a new area guided by thise in the know and try new types of food. Read about some of the other tours we have joined below, check out the Taste tours link and expand your horizons by booking a tour.